KEN YUSZKUS/Staff photo. 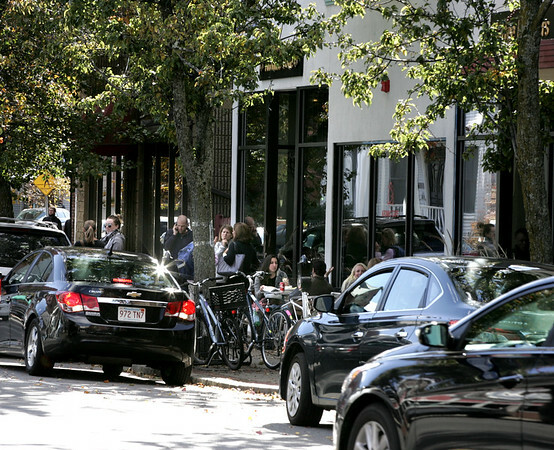 Pedestrians on the sidewalk of Cabot Street in Beverly. 10/30/15.